La Landonne is always the more expressive of the two senior cuvées in youth, it personality combining ripeness of fruit with whole bunch extract and vigour. 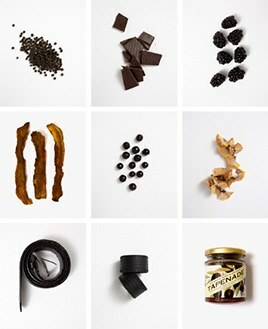 The famous arzelle (decomposed schist) soils lend energy, charm and length. One can usually rely on M. Rostaing for an aphoristic analysis of the vintage in question. 2012, he has decided, offers. ‘le plaisir évident mais avec le sérieux derrière’. Hardly Oscar Wilde, but the message is clear. Whilst perhaps not an iron fist in a velvet glove, the vintage offers, pace the great man, plenty of substance and ageing potential. The imposition of a Latin name on his main cuvée has, it seems, been a success and he maintains his fleet of roto-fermentors, de-stemming the grapes as and when appropriate and now ageing the significant majority of his wines in demi-muid. 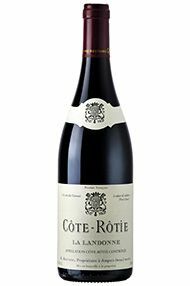 The Wine Advocate - Getting a big Wow in the notes, the 2012 Cote Rotie la Landonne offers additional richness, concentration and depth, with notes of lots of floral and violet notes intermixed with cassis, cruhsed rock and pepper. Full-bodied, concentrated and with building tannin, it needs 4-5 years in the cellar and will keep for 20-25+. 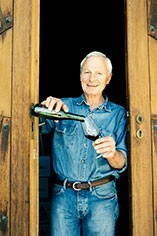 Legal academic, property dealer and vigneron, René Rostaing crafts some of the finest Côte Rôties on the market today. He has owned 2 hectares in the Côte Blonde and La Landone since the 1970s but fortune has blessed him through his inheritance of four hectares of superbly sited vineyards from his father in law Albert Dervieux and another 1.4 hectares of particularly old vines from his uncle Marius Gentaz. He now has 7.4 hectares which in Côte Rôtie terms is a significant holding. Rostaing is firmly in the modernist camp of Côte Rôtie producers, destemming the majority of his fruit and being one of the first producers to ferment using vinomatics (horizontal automatic vinifiers). However he dislikes the overt taste of new oak and uses a maximum of 15% in the maturation process. All the wines are bottled unfiltered. Côte-Rôtie is one of the most famous of the northern Rhône appellations, with some single vineyard cuvées now selling for the same prices as First Growth Bordeaux. It is the northernmost outpost of the Syrah grape. Côte-Rôtie translates as ‘roasted hillside’, as the south-facing slopes are exposed to the maximum-possible sunlight. Vines have been planted here since Roman times, although the appellation was only created in 1940. Today it covers 500 hectares, with 276 hectares of vineyards stretched across eight kilometres. Phylloxera devastated vineyards in the late 1800s and Côte-Rôtie’s fortunes remained in the doldrums for another century. After the War, a farmer would receive double the price for a kilo of apricots as for a kilo of grapes, hence vineyards were grubbed up and wine production became increasingly smaller. It has only really been recognised as a top-quality wine-producing area since the 1970s, with Guigal being the main impetus behind its revival. The two best slopes, Côte Brune and Côte Blonde, rise steeply behind Ampuis and overlook the river. The Côte Brune wines are much firmer and more masculine (the soils are clay and ironstone), whereas the Côte Blonde makes wines with more finesse and elegance due to its light, sandy-limestone soil. Both the Côte Brune and Côte Blonde vineyards rise to 1,000 feet, with a gradient of 30 to 50 degrees. The wines are made from the Syrah grape, however up to 20 percent of Viogner can be used in the blend, adding finesse, elegance and floral characteristics to the wine. Viognier ripens more quickly than Syrah and the appellation rules stipulate that the grapes must be added to the fermentation – rather than blended later. The best Côte-Rôtie are very deep in colour, tannic and spicy, and need 10 years to evolve and develop. There are nearly 60 official vineyards (lieux-dits); the best-known are: La Mouline, La Chatillonne (Vidal-Fleury, owned by Guigal) and La Garde (Rostaing) in Côte Blonde; La Viallière, (Rostaing), La Landonne (Guigal, Rostaing) and La Turque (Guigal) in Côte Brune. Styles vary from heavily-extracted tannic wines which need many years to soften through to lighter, supple and less-structured wines which do not require extended bottle ageing. The most famous wines of Côte-Rôtie are Guigal’s three single-vineyard cuvées: La Mouline, La Turque and La Landonne. These are aged in new wood for 48 months, and demand for them amongst connoisseurs and collectors is significant, leading to prices sometimes comparable to Bordeaux First Growths.